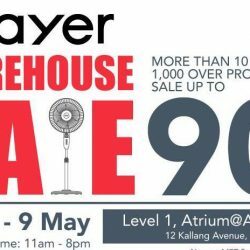 Don't miss out on Mayer's Red Hot Warehouse Sale with up to 90% off kitchen and household appliances! 2 MORE DAYS LEFT to go! 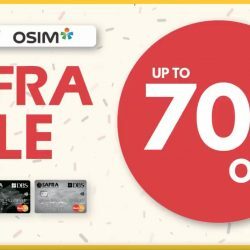 What’s more, flash your SAFRA card and get additional 5% OFF! 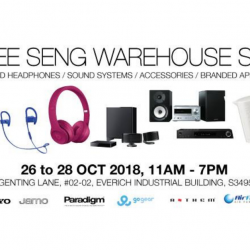 Sound enthusiasts and those on the lookout for value purchases for small and kitchen appliances will be excited to know that Hwee Seng Electronics is back! 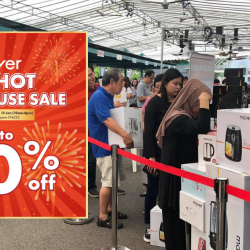 Bigger and better this year, Hwee Seng will be offering super deals to clear their warehouse in preparation for the coming New Year. 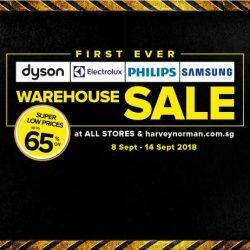 All stocks must go, including its top brand headphones, sound systems, accessories and branded appliances, all at up to 90% OFF! 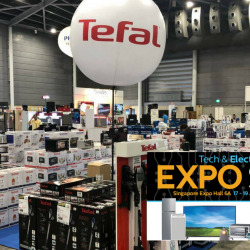 For three days only from 26 to 28 October 2018, 11am to 7pm daily, expect to bring home the cheapest audio product deals offered directly by international brands namely Airfree Air Purifier, Anthem, Beats by Dre, Bodum, Go Gear, Jamo, Monster, Onkyo and Paradigm. While stocks last, so come early to avoid disappointment! 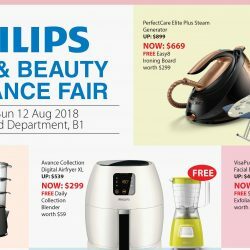 Takashimaya's Philips Home & Beauty Appliance Fair is ending this Sunday! 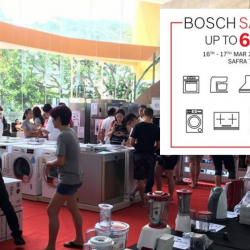 With kitchen appliances, homeware and garment care products at great prices, be sure to head down to Household Department, B1 to make your purchases! 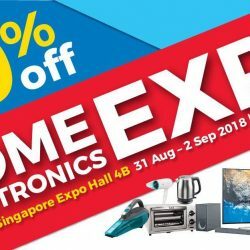 Let’s celebrate NDP together as one starting from 6 Aug till 12 Aug 2018 at Level 1, Causeway Point Atrium! 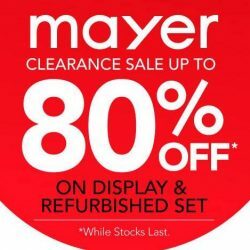 Come on down to grab unbeatable deals for your home from Mayer. What’s more? Mix & Match are available at all Mayer Showrooms. So hurry down before all these deals get snapped up and you’ll regret! While stocks last, terms and conditions apply. 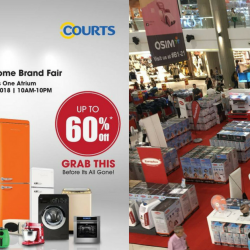 Get your home appliances this weekend at the EuropAce Style Your Home Brand Fair at Compass One Atrium! Happening till 22 July 2018 from 10am-10pm. Offers up to 60% not to be missed. Hurry down today!!!!! 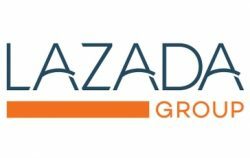 Calling all homeowners looking to replace or upgrade your kitchen hobs, hoods, and ovens this 2018? 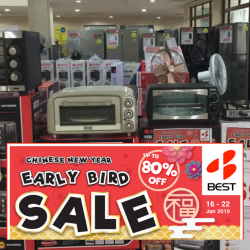 Enjoy up to 70% Off your kitchen appliances with AMAZING Prices & GREAT Quality at Turbo Italia Warehouse Sale! 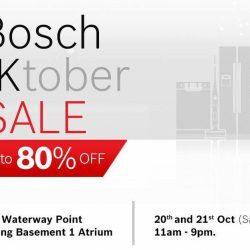 This is also a good chance for new BTO owners who have received their keys to enjoy up to 70% off hobs, hoods, and ovens offer. 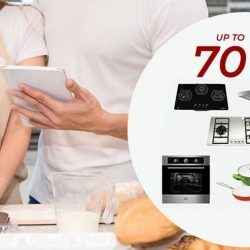 Satisfy all your kitchen needs here, from hobs to hoods and electric ovens and up to 60% off Blanc nano-ceramic cookware! 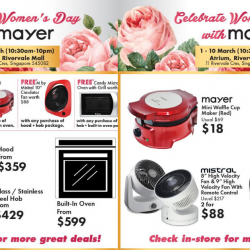 Courts: Pay only $29 for a Tefal 28cm Wok Pan or Philips Steam Iron with this Coupon Code! And the Mayer Warehouse Sale has started! 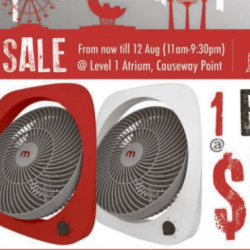 Deals at the atrium and Display & Refurbished sets at their Showroom for sale of up to 90% off from 3rd May to 9th May. Hurry, don't wait! Grab the chance to take home your favourite Philips products this May! 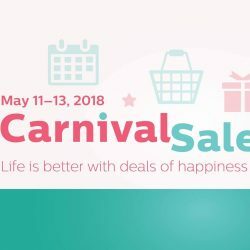 Get up to 60% off when you head down to Philips' mid-year Carnival Sale. 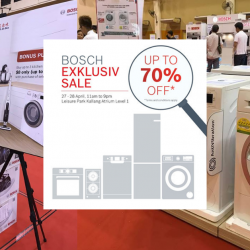 Exclusive deals on an extensive range of household appliances, personal care tools and infant care products awaits you. Get a Kenwood Health Grill for only $68 with this coupon code at Courts! Just spend min. 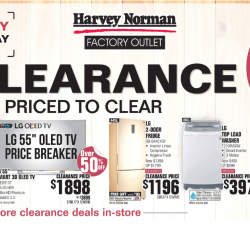 of $100 on Kenwood, Delonghi & Braun Kitchen appliances to redeem this promo! 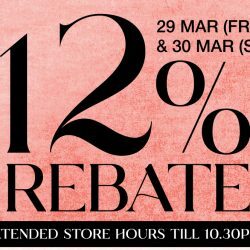 Offer ends on 2 April 2018. Courts: Coupon Code to Redeem Tefal Food Steamer for $39 Only! 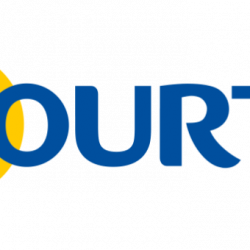 Spend at least $199 on Tefal/Rowenta products at Courts and use this coupon code to redeem a Tefal Food Steamer for $39 only! This offer ends on 31 March 2018.